Screen shot from the first live show! What a fun morning! It was the debut of Beauty Broadcast LIVE (from 9am to 10am CST) and if you missed it, you can watch here (it recorded in segments). We covered all of the things mentioned in my last blog post and more! :) It really felt like a talk show at times. I loved it! I plan to tweak the way the giveaway went (it's REALLY hard to keep track of all the comments), but other than that, I was really happy with it and can't wait to do it again! There's also been talk about moving it from Thursday to Saturday morning... any feedback on that? Meanwhile I thought I'd do a Face of the Day post on the look I was wearing during today's BlogTV! Thanks so much to all who tuned in- it meant a lot to me! Congrats to Courtney H. who won the $50 Sephora Gift Card Giveaway!! And if you couldn't watch live, I hope you'll have a chance to watch the recorded clips! :) I'll keep you posted on next week's time. Uploading a new video as we speak! Went grocery shopping a couple days ago... now found a bunch of new recipe ideas on Pinterest. Another trip may be in order! Still trying to get caught up on tweets and facebook posts from the week I was gone. I still feel so behind! I would love if you did it Saturday mornings! I can't watch in Thursdays because I'm at work by 7am PST. Maybe you can do once a month on Saturdays, just for those who work during the week. I would love if you had it on Saturdays. Keep up the Good work and Yay on the No Pajama Bottoms!!! I didn't get a chance to watch it live but I will be watching it today! I vote for Saturdays! As always, love your work Emily! I'm watchin the recordings as I'm posting this. I like the idea of at least 1 Saturday a month for thoe people who are stuck at work. I vote keep it on Thursdays!!! I loved it today, keep up the great work! I vote to keep it Thursdays too please. I would love it if it was switched to Saturdays so I can watch it live! Hi Emily. Love your blogs! 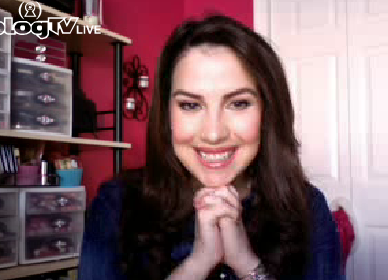 I tried watching you on blogtv this morning, but the video picture quality was not very good. Is that normal for that channel? I was looking for a way to change the viewing format, but didn't see that option. I'm so used to getting great reception quality on your youtube videos, so I was a little disappointed. Anyway, hope it was just a minor technical flaw. You're my favorite beauty guru! Thanks! I vote to move it to Saturdays. I LOVE the idea of this. This is so much fun. I vote for Thursday. The weekends are too hectic with family and kid activities. Saturday! I'm from the UK and would probably have the chance to watch considering the time difference and not being at work! I would like Saturday mornings much better. 9AM CST is 7AM PST. Despite the fact that I managed to get later classes, Tue and Thu is my day to get my brother and sister ready and to school. So glad today was a vacation day =) I was able to sit for a while with you. Fun morning! I say keep it as it is. I'm one of those that can't always catch it live, but it IS recorded after all. so yeah, I vote for Thursdays. Drat! I didn't hear about the live show in time. Hope to catch a future one. Couldn't see it on my iPad. I watched it later on my laptop. Did anyone else have this problem? I would LOVE it on Saturday mornings! It would be so much easier to watch!! I did catch the tail end of todays show and it was great! Awesome job!! I would love it on Saturday mornings! It would be so much easier to watch! I did catch the tail end of today's show and it was great! Can't wait until next week! I would be able to watch on Saturday morning. Unfortunately during the week would be difficult while at work. Thank you! I think it'd be nice to alternate if it's during the week (Thurs) or on the weekend (Sat). That way more people would be able to watch at least some of the time! I work retail and so it varies what days I work, and that would make it more likely for me to catch it sometimes! I'd LOVE watching you live on a Saturday morning! Weekdays are a no-go for me, but I'd hate for you to feel tied down every single weekend. I like the suggestion of doing it once a month! I vote for keeping on on Thursday. I understand that a lot of people want it to be in Saturday so they'd be able to watch live, but i think the chat area would just be way too crazy for anyone to handle. I'm sorry I missed you today! As for which day, doesn't matter to me! I hope I catch you next time! Beautiful look by the way! I vote Saturday, too! I was so bummed when I realized I missed it today. I vote for Saturday! Have to be at work on Thursday mornings... Thanks Emily!! Didn't watch the live show but I did watch the segments and it was great! I was hoping you would show how to clean your lashes after you take them off though. Looking forward to more shows! Woohoo! I would also love it if you did it on Saturdays. So I vote for Saturday! My vote is for Thursdays but I'd still try and tune in on a Saturday if I could! Emily, Will you please stop over to my blog and check it out? 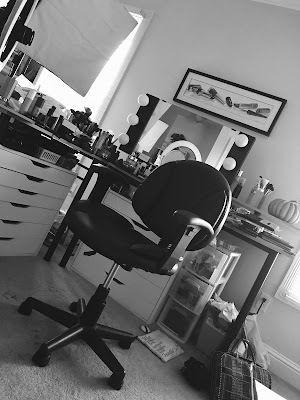 I am just starting out and would love some tips and tricks to having a great beauty blog. Thanks alot! Saturdays would be great since I work M-F. Perhaps swapping Thurs & Sat every other week so most people will have a chance to watch live. I just watched the video and it was so much fun. You're a natural! Whenever you touched the table, put something down or picked something up, it was really loud on the feed and it was hard to hear what you were saying while that happened. The visual quality of blogtv wasn't great and it was a bit annoying to watch the entire show in 7 segments. Not sure if there are other sites you could use, like gotomeeting.com. Hope this helps! Saturday mornings! I'm in school and would love to watch you! I only get to see on breaks and love it! It would be absolutely fantastic if you switched it! Saturdays! I'm in school and can only watch on break! You are my favorite youtuber and it would really mean a lot! The video was so much fun and inspired me to shop my stash for next week. 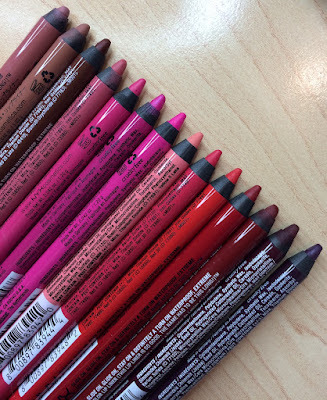 I have several cream liners and several eyeliner brushes but none I'm really crazy about. What would you suggest? And for some reason it didn't post my first comment so I'll say it again. I absolutely LOVED the video, it was so much fun! The time seriously flew by! You're so engaging & fun, it was like chatting with a friend & I didn't even get to see it live! Great job, I so look forward to next week!! I would love Sat shows because I work during the week. Awesome idea! I'd love for it to be switched to Saturday mornings, so I won't be at work and could watch it. The one (and only) time I got a flu shot, I got the flu. I went to the doctor yesterday and asked if I needed to get one this year. He asked how old I was (48) and said I "really" don't need one til 50 and after. Woo Hoo! What color do you use in the Age Rewind? You look beautiful! thanks for the review. Hope it works for all skin types. You look so pretty here! I love everything about this look. I'm going to have to go pick up that Color Whisper shade now! Right choice at right place! Never intend something that is going to make my self more clear and dominant. I love it!!! smartly as with the format on your blog.